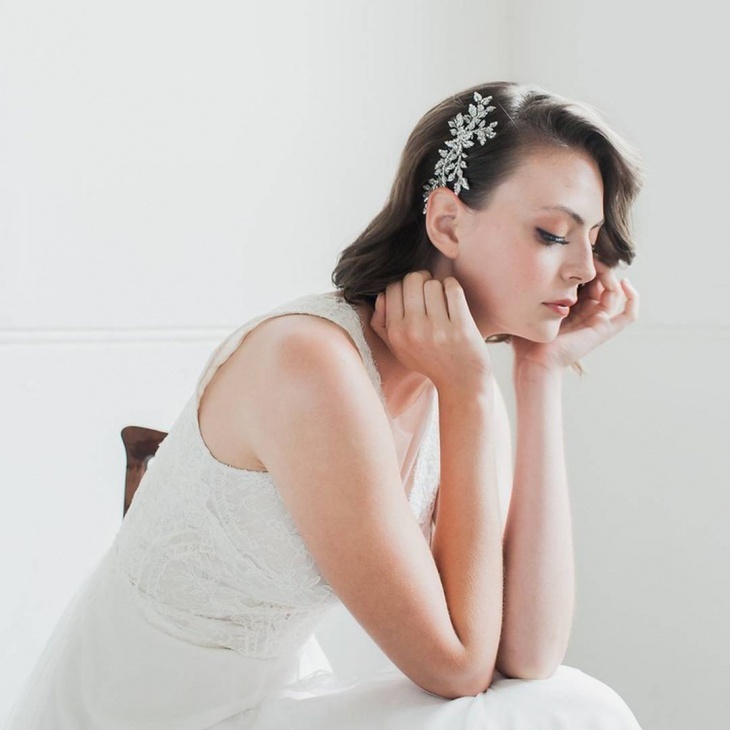 Are you worried about your special day because of your short hair? Don’t worry! 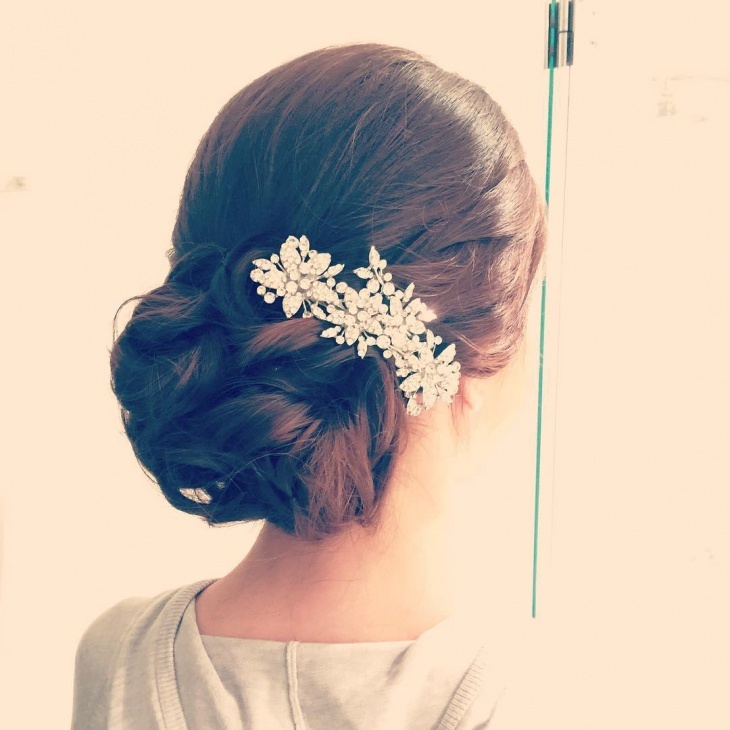 You can look stunning on the wedding day with short hairstyle too. Gone are the days of conventions. Short hair is the best way to look younger and can give you a youthful and adorable look for your wedding. 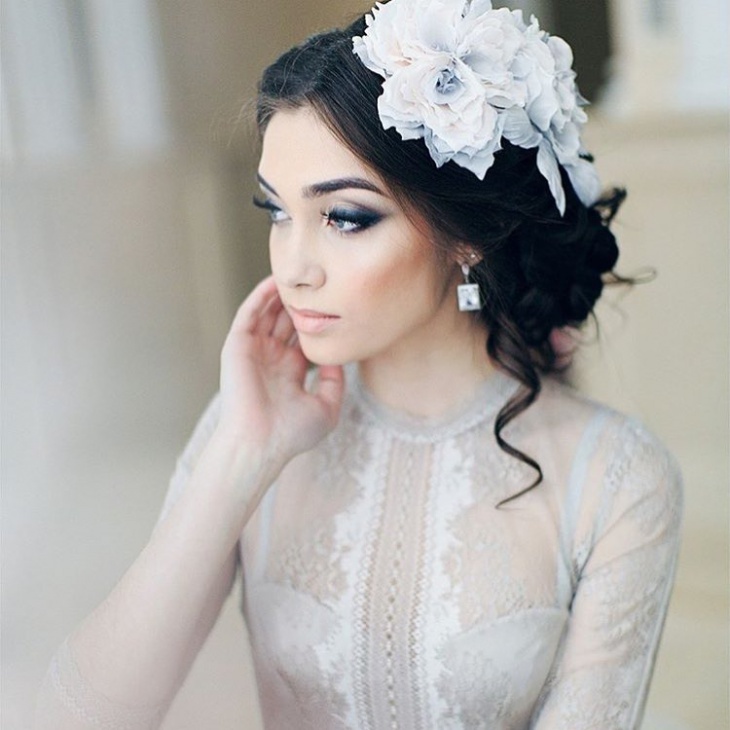 While choosing a perfect hairstyle for a bride, one needs to mind the face cut and wear the right apparel. Get the special attention on your special day by simply adopting beachy waves touch in your short hair. 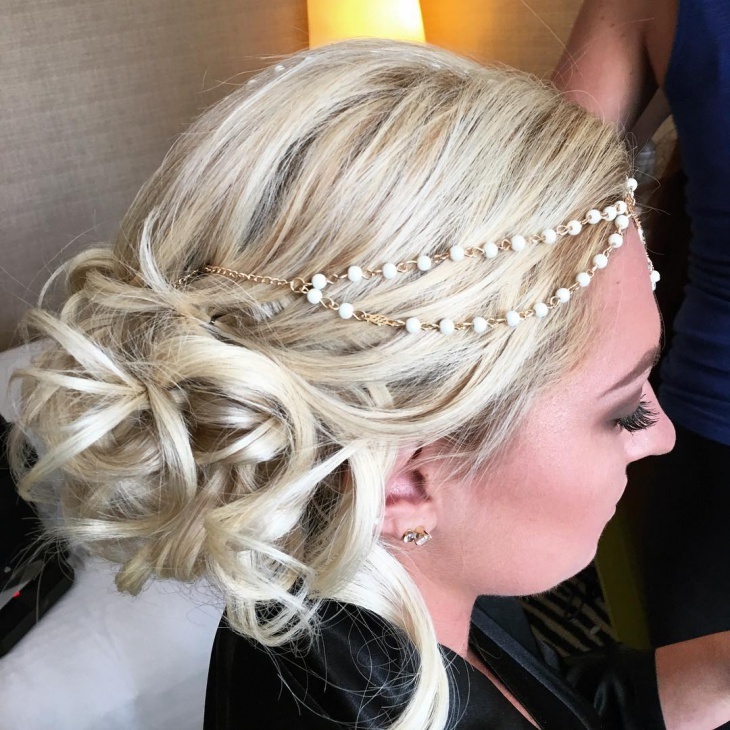 Bride having long face looks the prettiest in this hairdo. Just pick a matching hairband to control the flow of the hairs. 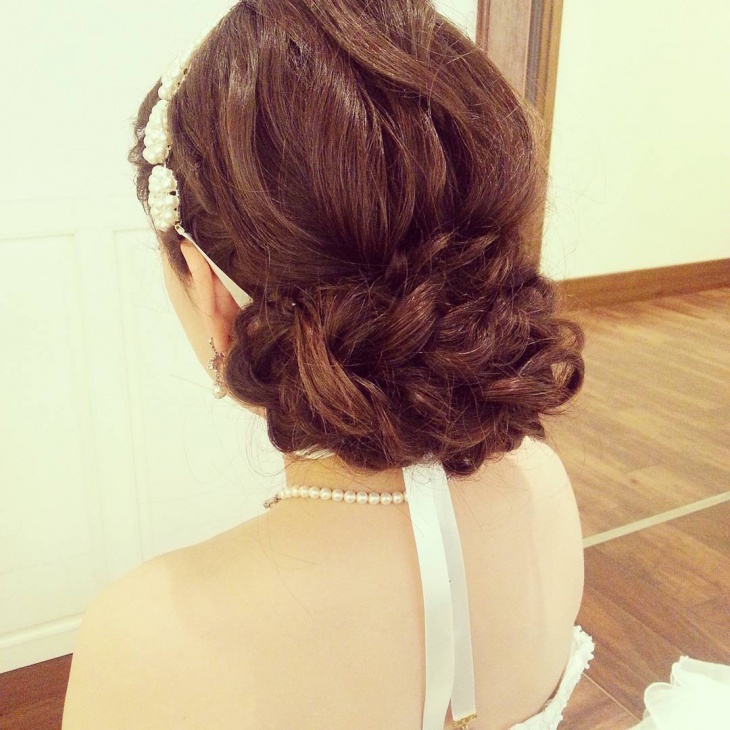 It is another easy hairdo to plan your wedding day in the simplest manner. Keep the volumized hairs one side and lesser hair on the other. Create a partition between volumized hair and less dense hair. Tuck a long designer bob pin on the side parted hairs to make the look stylish. 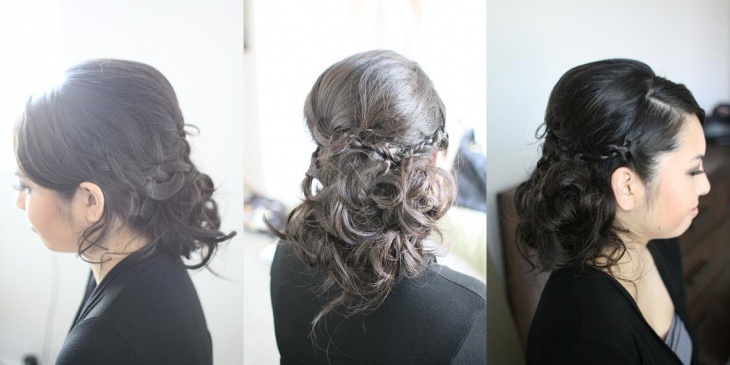 Look glamorous on your big day with the front light curls hairstyle. This hairstyle is the most suitable on dense hairs. With the forehead covering, this style is good enough to flatter your mate. 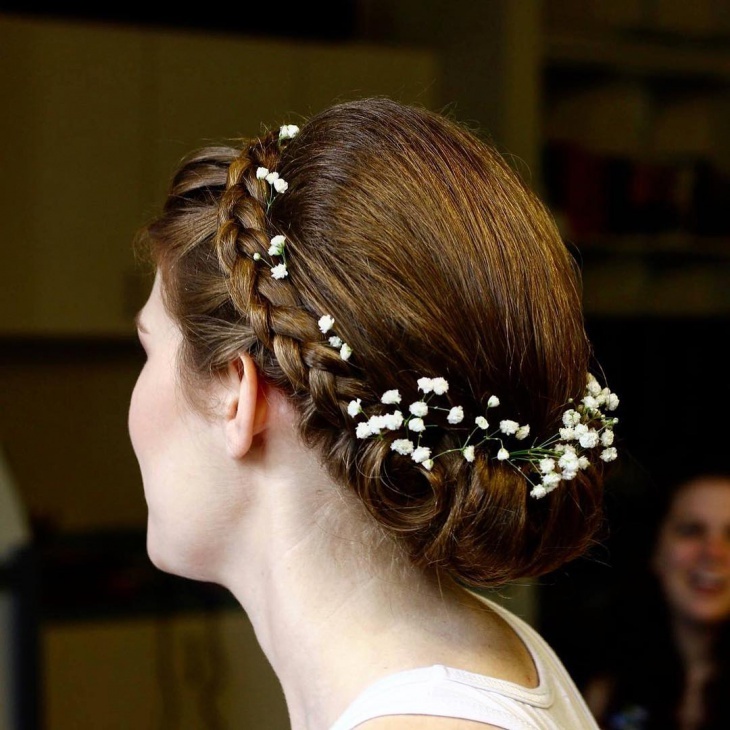 Get the traditional princess look with the flower crown on top of the head. Just keep the hair as they originally are and put a floral crown on the head. The crown can be made of natural flowers or precious stones. The ever easiest style! In the floral headband hairstyle, you just need a fancy hairband to tuck on your hair. The color of the band should match your wedding dress and other wearing apparel. 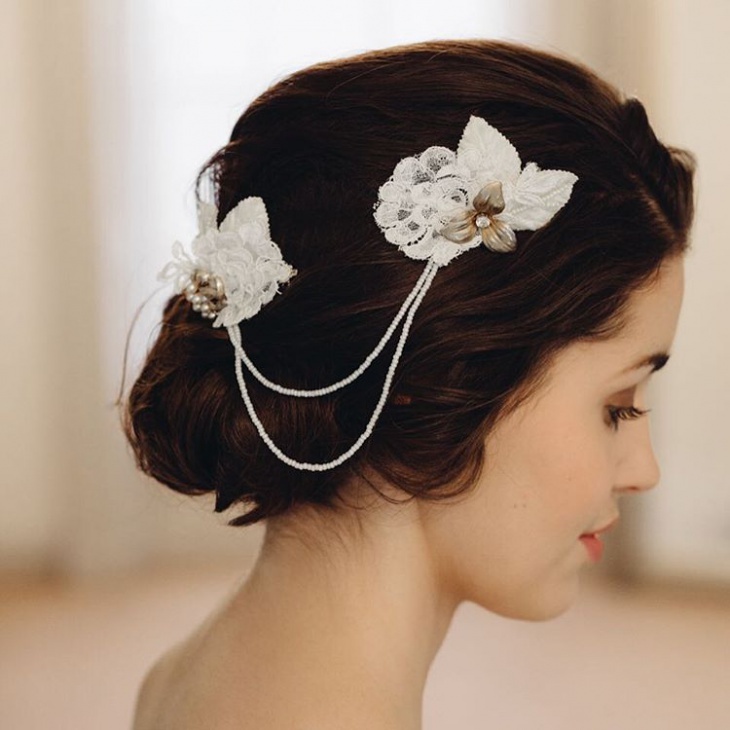 It gives a bride the simple yet chic look. 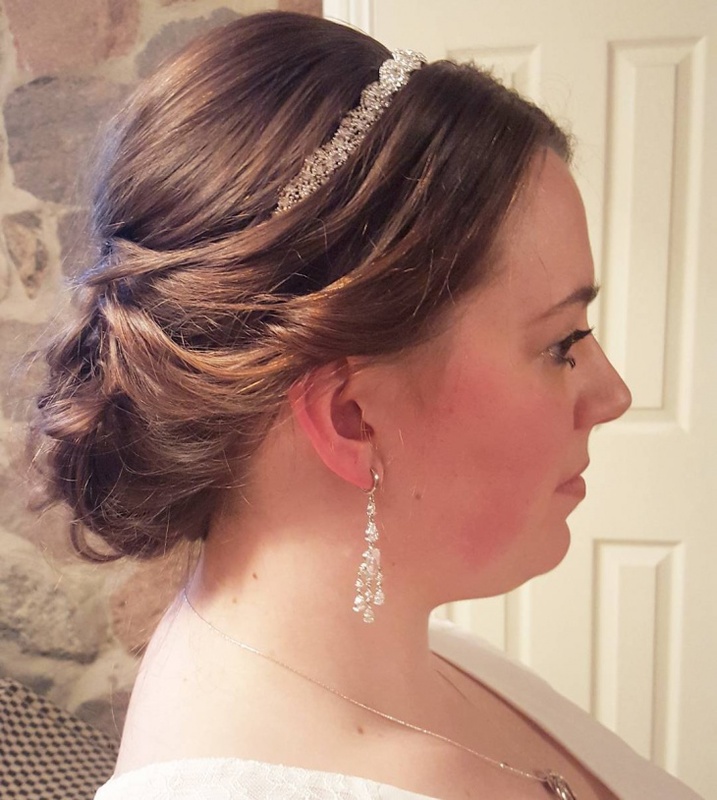 Get a clean long forehead look with the slicked back short wedding hairstyle. 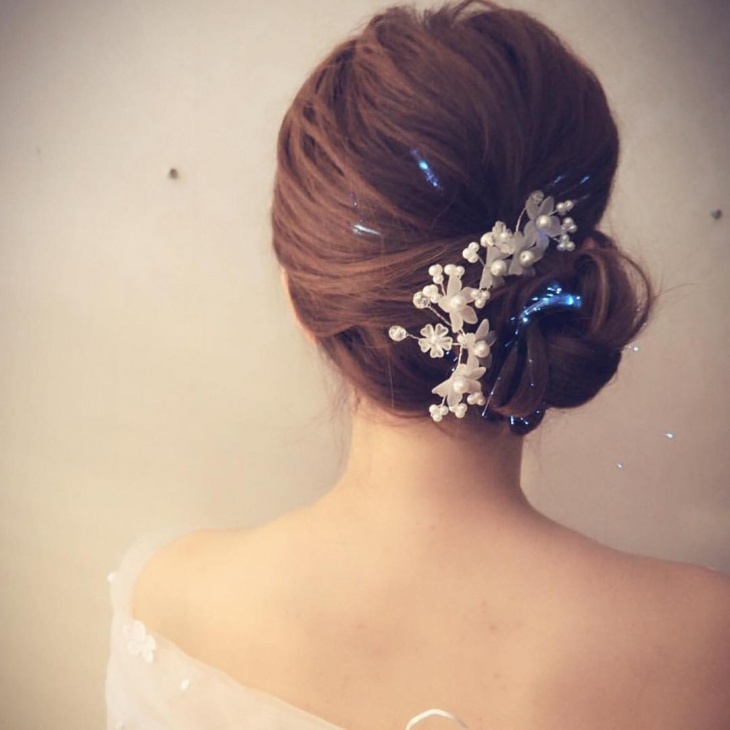 This funky hairstyle gives a bold look to the bride. 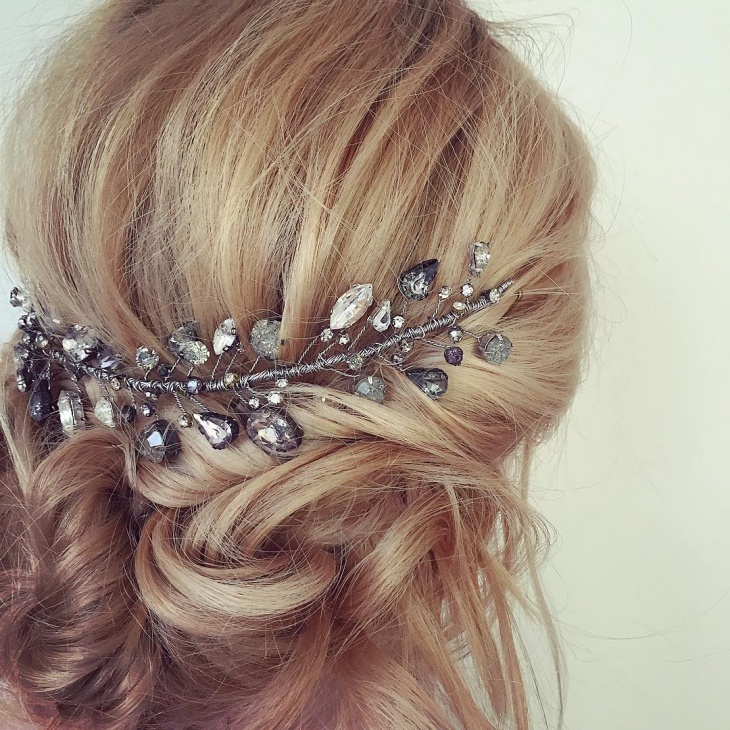 On your engagement day, this hairstyle is going to look very pretty. This lacy style with the distinct curls makes your special day even more exciting. The complete black dense hairs should set through the hair spray. It also sets fringes on the forehead side. 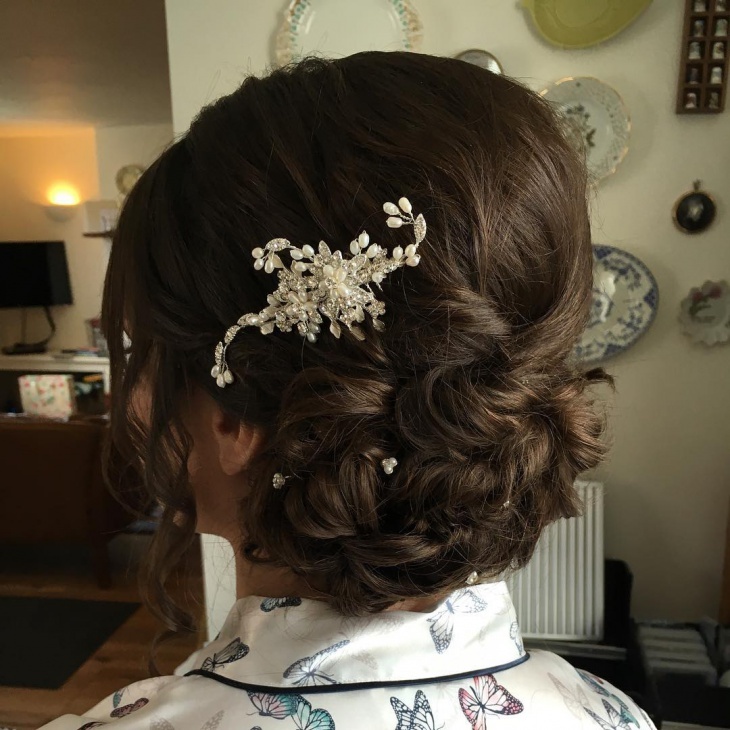 On the front side, create a deep vintage style and keep the rest of the hair open or clutched as per the choice of the bride. Otherwise, a bun can also be created at the upside of the end hairs. Create a short curled bun from the short hair and attach some stylish bob pins to make it crunchy. Take complete hairs straight away on the upside and create a bun. 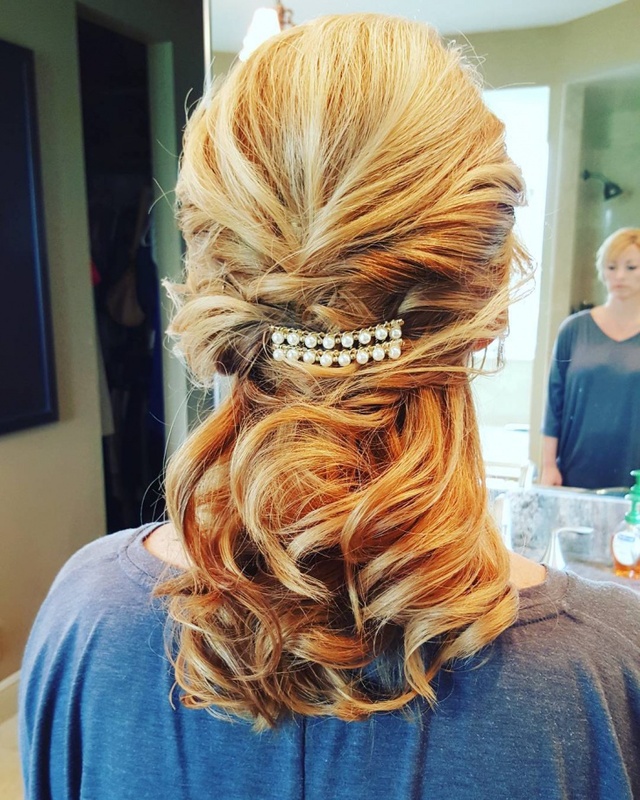 The hairstyle has intense curls on the end side. Hold the front hairs and twist them at the back of the ear. 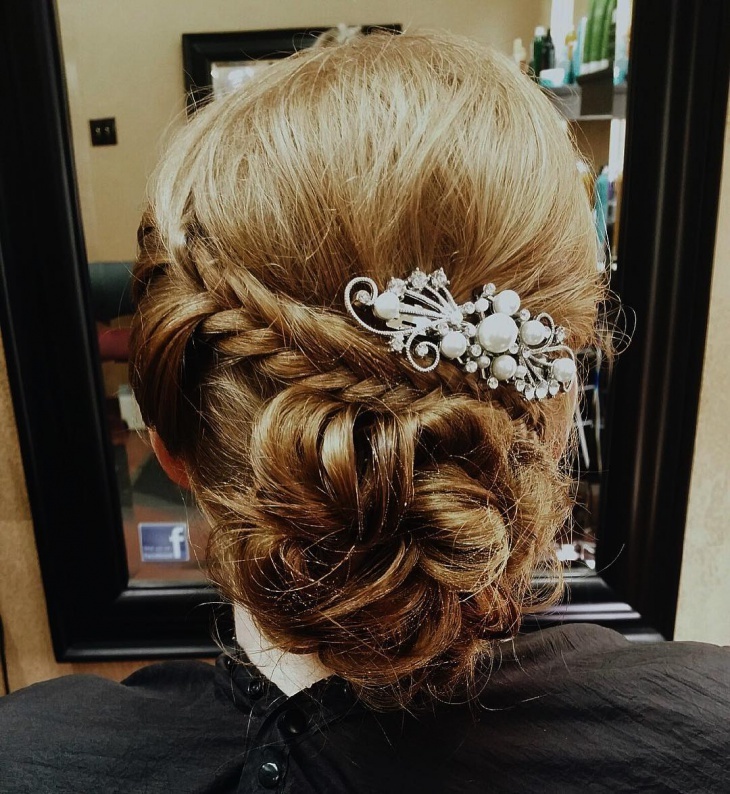 Fix the ornamental bobby pins. The parted hairs are also tucked in the same bobby pins. 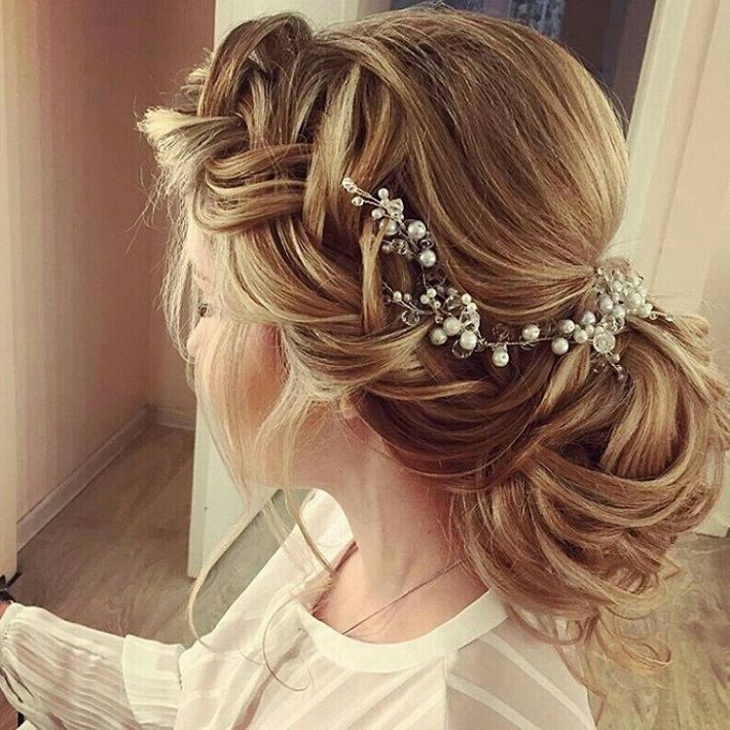 This celebrity style goes well on the wedding day. 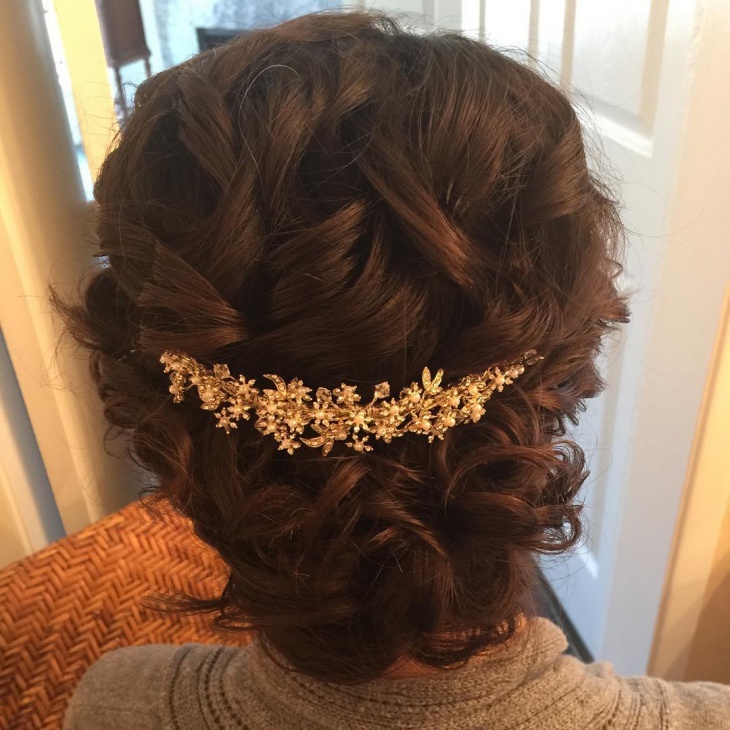 Keep yourself free from the hair flow with this French twist short wedding hairstyle. 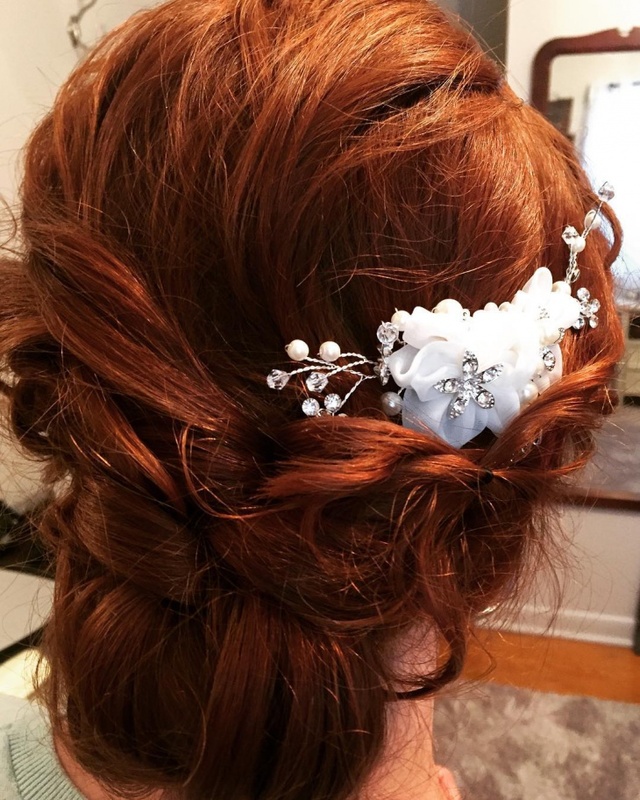 Hairstyles are personality makers, not only on a wedding day but also otherwise. 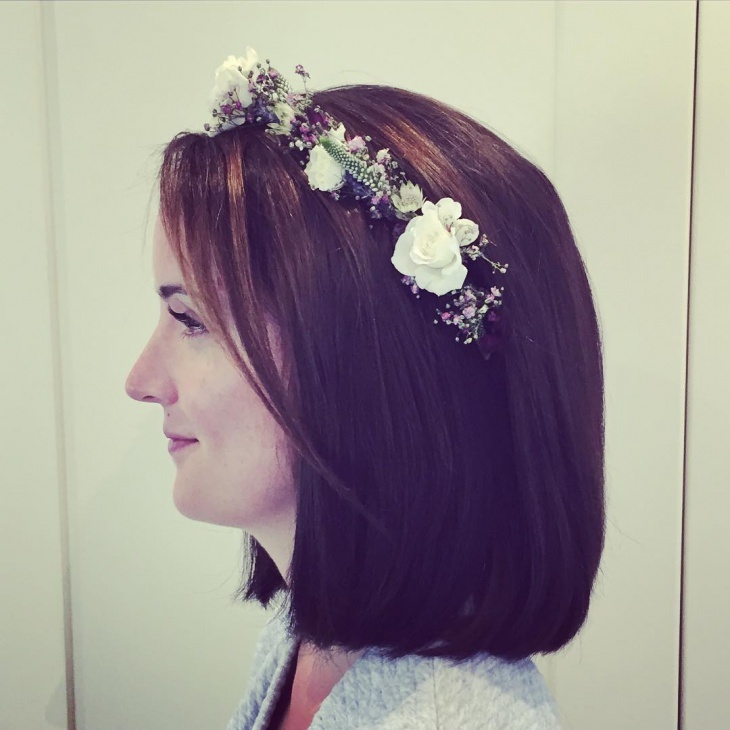 When it comes to the special day, short hairstyles become a major point of discussion. 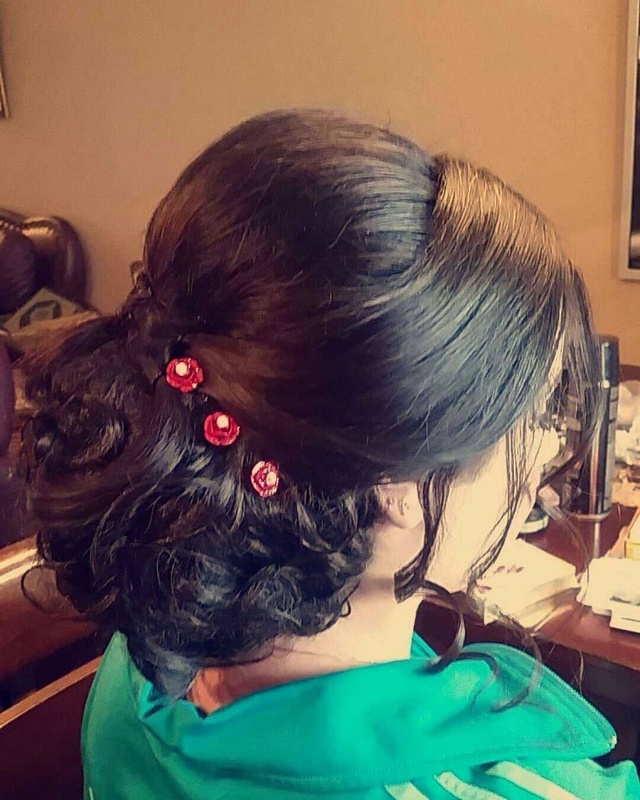 The bride should try a hairstyle that looks apt with her outfit. 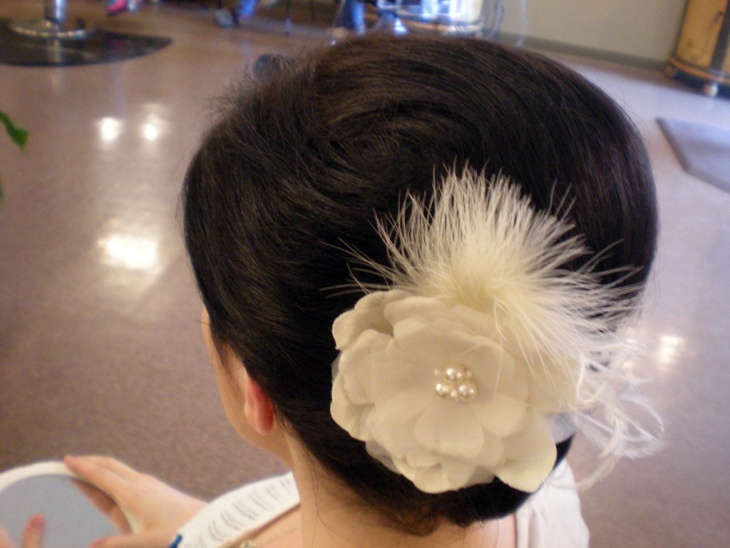 Some of the above hairstyles demand expert’s help for creating a great finishing appearance.